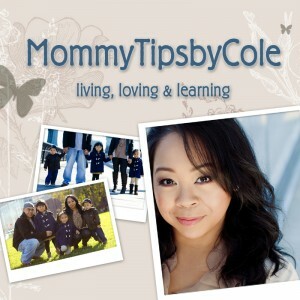 Vlogging on my You Tube Channel, Mommytipsbycole led me to Blogging here. However, I’m still trying to figure out the whole blogging world! If you enjoy any of my posts, I hope to see you in “You Tube Land” sometime. On there I share my experiences as a mother of 4, helpful tips & tricks on different stages in motherhood, plus sharing my passions for fashion, beauty & fitness. Occasionally, my kids & I may sing a few songs for you too! Connecting with so many different mothers and women all over the world is what makes this entire experience so positive and fulfilling. I hope you’ll join me on this amazing journey!!! 7 Responses to "About Mommy Cole"
Hi im Karina a mom of four 3 boys and one princess , I love your you tube channel its very insightful and stylish it has the best of both worlds, kids and being a stylish mom. Love you your amazing!!!!! HI Karina! omg so sorry i just saw your message now! i am so bad at blogging lol!!! so happy u love my channel!!! u r too sweet and it means so much!!! how are u doing? how do u like your ipsy bag this month? Do You by any chance know if Paige Hathaway’s workout is any good? Looking for opinions on good workouts other Mom’s have bought online to help tone up their Baby bodies. I would love to wear a bikini again with confidence.